BBDO India won Golds for its work on P&G's Whisper, P&G's Ariel, Gillette, and Visa. Meanwhile, Unilever is Client of the Year, OgilvyOne Worldwide is Agency of the Year, Ogilvy & Mather is Network of the Year, and WPP is Holding Company of the Year. 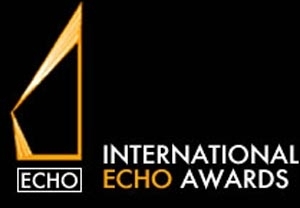 At the 2015 DMA (Direct Marketing Association) Asia Echo Awards, India won 22 Gold awards. BBDO India leads the pack with nine Golds. OgilvyOne got two Golds. Social Wavelength, Hungama Digital Services, PHD, Blink Digital, Club Mahindra, Quasar Media, BC Web Wise, Everest Y&R, Every Media Technologies, WAT Consult and mInteraction/Mindshare got a Gold each. Of BBDO India's nine Golds, four are for P&G's Ariel Matic (two for Share The Load and one each for Basketball Laundry and Wash Care Label), three are for Visa India (Visa Saree - one Effectiveness; two Creativity - Craft: Art Direction and Illustration) and one each for Gillette Grazia (Creativity - Direct Response - Print) and P&G's Whisper (Touch The Pickle - Effectiveness). Of the agency's awards for Ariel, three are for Creativity and one, for Effectiveness. The winning Visa Saree campaign also received mention as 'Best of Show' (Creativity). OgilvyOne's Golds are for Dove (Creativity - How did Dove prove that it was more than just 1/4th moisturising cream?) and Vodafone Business Services (Effectiveness - Beyond Mobility - A 10 MN story). Social Wavelength won a (Creativity) Gold for its Fundtastic Cup campaign for Franklin Templeton Asset Management. 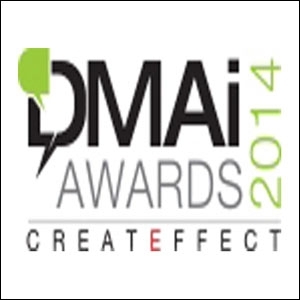 Hungama Digital Services won a (Creativity) Gold for its 4 am Friend campaign for Airtel. PHD won a (Creativity) Gold for its Kan Khajura Tesan innovation for Hindustan Unilever (HUL). Blink Digital won a (Creativity) Gold for its Pro Kabaddi Homepage Takeover for Star Sports. Club Mahindra won a (Creativity) Gold for its Use of Big Data Analytics - Interactive Email Marketing. Quasar Media's (Effectiveness) Gold is for the Touch The Pickle campaign for P&G's Whisper. BC Web Wise's (Effectiveness) Gold is for its work on HUL (Can kids influence change in the world?). Everest Y&R won a Gold (Effectiveness) for its work on Parle Monaco. Everymedia Technologies won a Gold (Effectiveness) for its work on Viacom18 Motion Pictures' movie, Queen. WAT Consult's Gold (Effectiveness) was for its NBA - Click to Calendar for Sony Six. Lastly, mInteraction/Mindshare's Gold (Effectiveness) was for its Price Campaign for Tesco Lotus. 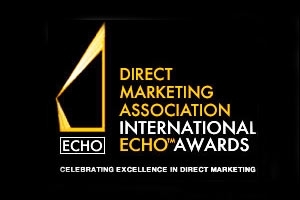 The DMA International Echo Awards recognise excellence in creativity, marketing strategy and response results in data-driven marketing campaigns.